We kick off December with Episode 21 of the HTD Express. 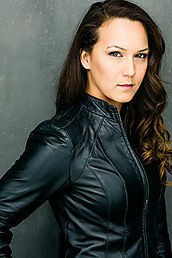 Simone Bailly is an actress who’s worked across many genres in television and film. You’ve seen her in recent sci-fi icons like “Stargate: SG-1,” “Battlestar Galactica” and “Smallville.” But she’s also appeared in dramas like “The L-Word” as well as a new independent feature about modern romance “Life Partners” alongside Leighton Meester (Gossip Girl) and Gillian Jacobs (Community). This being the digital age, you can rent “Life Partners” on itunes right now but it also opens in theatres this Friday, December 5th, 2014. Simone Bailly is repped by Bright Alliance Media.